He was not so much sentenced as kidnapped. Gao Zhisheng’s years of disappearance and other experiences revealed the “heart of darkness” of the Chinese Communist regime that tries to cloak itself in law. Because of the absence of rule of law in China, people initially refused to believe Gao Zhisheng was “released,” although he completed his prison term, until it was confirmed that he was in the company of his relatives. Political prisoners may hold a press conference upon their release in some countries, but in China, a “released” political prisoner will still be invisible. The same fate awaits Gao Zhisheng, who was an action-taker and regarded by many as a radical. Having read a lot of reports and commentaries the last few days, I was surprised that few mentioned the radical political expressions and actions of Gao Zhisheng, the very reasons why he was subjected to extraordinary persecution. When Gao Zhisheng was missing for much of 2009 and 2010, many believed that he was dead. While the international attention was high and tense, inside China, not that many people were concerned about his life or death. In part, this was due to censorship, but my observation is that the lack of concern was the result of the “radical” label he had been given. As a rights lawyer, Gao Zhisheng defended coalmine owners whose assets had been seized and farmers whose land had been taken away. He also took up highly sensitive cases involving underground churches and Falun gong practitioners, and he was regarded as having stepped over the line. Such lines were set by the CCP, but to a great extent, it was accepted by the public and even by many opponents of the CCP. Then there were those who did not accept such lines in theory, but, in action, were willing to accept them to “avoid making unnecessary sacrifices.” But to Gao Zhisheng and his supporters, these sacrifices were not only necessary but a must. Gao Zhisheng’s critics believed that Gao strayed from his role as a lawyer when he politicized rights defense actions. They believed that the lawyers’ battlefield was in the courtroom and they should not go on the street to protest. Gao’s critics also worried that, doing what Gao Zhisheng did, they would stand to lose even more since the authorities were bound to retaliate against them. Responding to Ding Zilin’s criticism, Gao Zhisheng said, “In human societies, any politics that prohibit, or in effect prohibit, participation by ordinary people are the most evil and immoral politics” which “in turn create a distorted logic: the politics of the party are great, glorious and correct, and the politics of those who oppose the Party are, without doubt, reactionary, irresponsible and shameful, and can be illegally repressed, or even killed, for any reason.” He quoted Sun Yat-sen saying that politics are the affairs of the people. Chang Ping (长平), former chief commentator and news director of Southern Weekend. 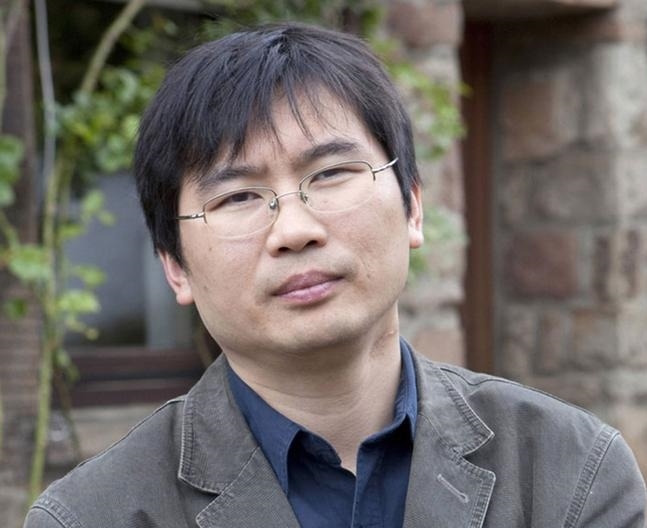 he writes columns for the South China Morning Post, Deutsche Welle, and a number of Chinese language websites. Forced to leave China and then Hong Kong, he currently lives in Germany. Legal Gadfly Bites Hard, and Beijing Slaps Him, by Joseph Kahn, the New York Times’ profile of Gao Zhisheng in 2005. By China Change in Analyses and Opinions, Political Transition, Rule of Law on August 10, 2014 .